When most U.S. cities were discarding their streetcar systems, many of the PCC (Presidents' Conference Committee) streetcars found homes outside the country. 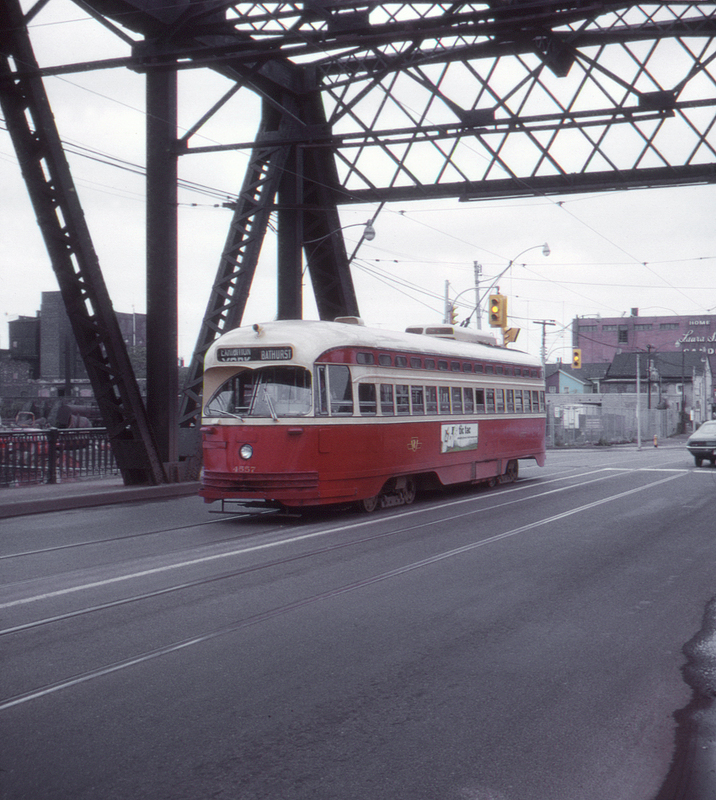 One favorite destination was Canada; witness this streetcar (originally from Cleveland, Ohio) in immaculate condition working the streets of Toronto. This page posted 5/1/2018; revised 1/1/2019. Text and photo ©2018 Lamont Downs.